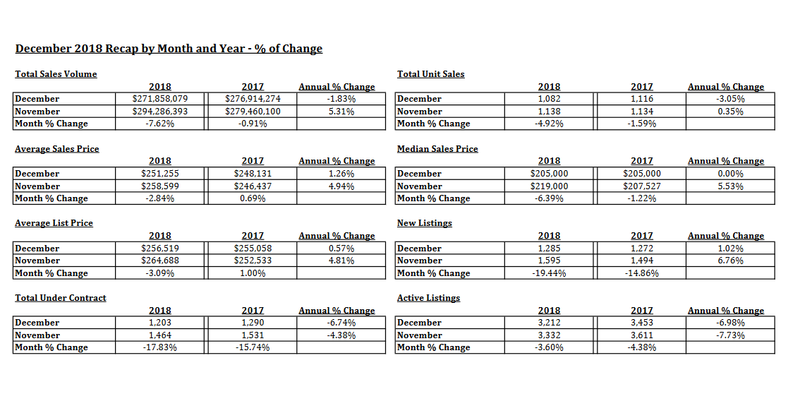 The report on the Tucson Housing Market December 2018 shows a drop in the average sales price, median price and list price. Overall the 2018 has been a choppy year in the Tucson real estate market. A few up months, a few down months and some flat months. 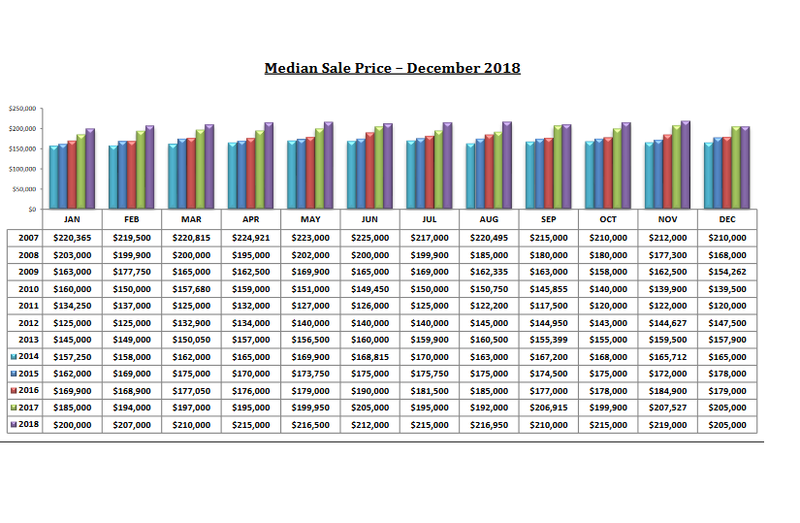 December’s Median Sales Price ends the year at the same number as December 2017. Even though inventory has been low all year, demand did not moved prices up year over year. 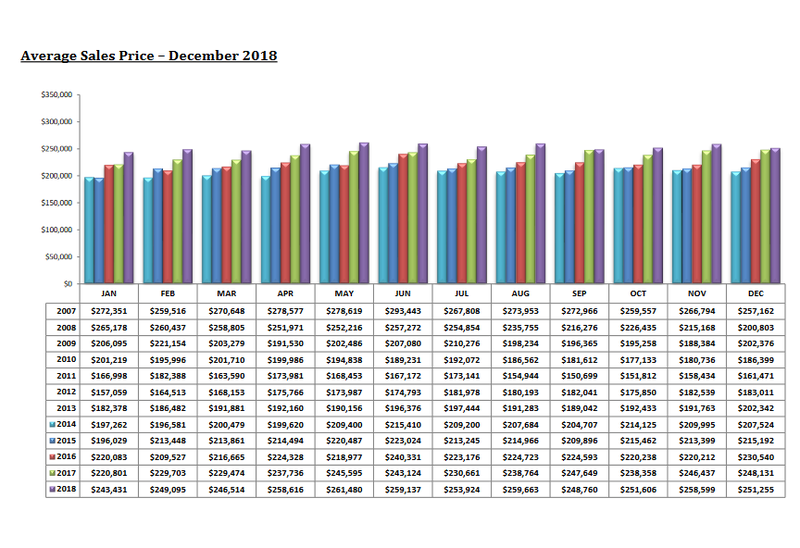 The Tucson Housing Market December 2018 report shows the average sales price DECREASED 2.84% to $251,255. And December 2018 was only UP 1.3% from December 2017. The December 2018 average sales price stands at 85.5% of the June 2007 peak average sales price of $293,443. The Median Sales Price for a Tucson home DECREASED 6.39% to $205,000. Right on the number for December 2017. The Median Sales Price of a Tucson home now stands at 91.1% of the June 2007 peak median sales price of $225,000. Will we get back to the 2007 peak? We will have to wait to see what 2019 has in store. 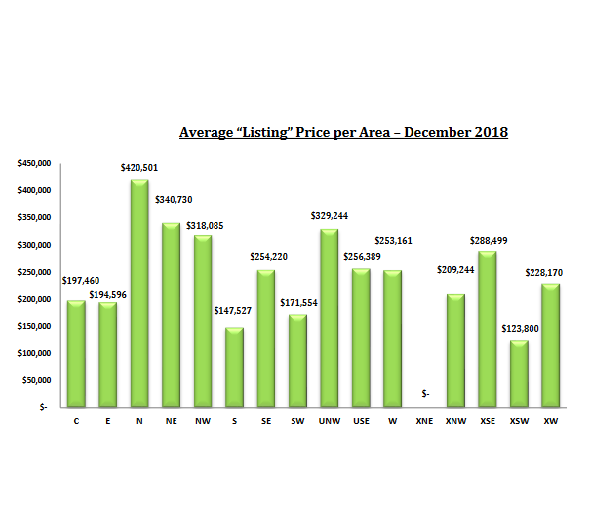 The Tucson Housing Market December 2018 report shows Tucson’s Average List Price of a home DECREASED 3.09% to $256,519. December Active Listings DECREASED 3.60% to 3,212. 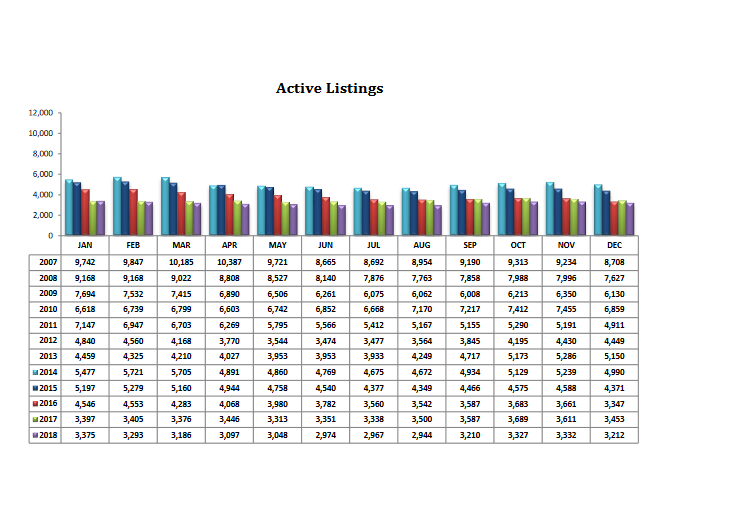 Active Listings continue below 4,000 for yet another month. Active Listings under 5,000 means the Tucson Real Estate market continues to be very “tight”. Year over Year active listings ARE DOWN 7.73%. 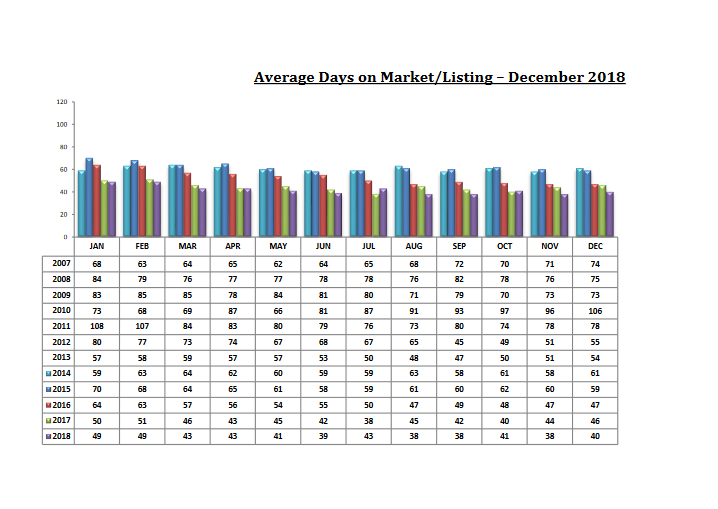 Days On Market INCREASED to 40 days in December. Ten months of 2018 have been under 45 days. A tight jobs market and the continued flow of baby boomers appear to be providing steady upward pressure on Tucson home prices. Perhaps the low number of active listings and return of the “snowbirds” will combine to give upward momentum to home prices. Mortgage rates have are back under 5.0% for a 30-year conventional loan. Current rates remain lower than year over year appreciation in home values.